December 26, 2018 (Last Updated: April 7, 2019) - As an Amazon Associate I earn from qualifying purchases. Darn right this is hot. Can you handle it? 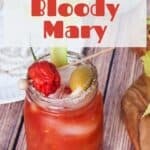 This Carolina Reaper cocktail delivers the heat in the World’s Spiciest Bloody Mary! 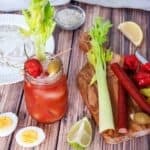 We have been messing with Bloody Mary cocktails lately and today we are going to kick it up a notch by making history with The World’s Spiciest Bloody Mary. This Bloody Mary is bound to make a normal man sweat and bring tears the toughest drinkers out there. We have been working with the worlds hottest pepper, the Carolina Reaper, and today we are going to make the World’s Spiciest Bloody Mary! So, if you got a pepper head in your life or just want to make someone cry, this is the drink for you. Enjoy our World’s Spiciest Bloody Mary. 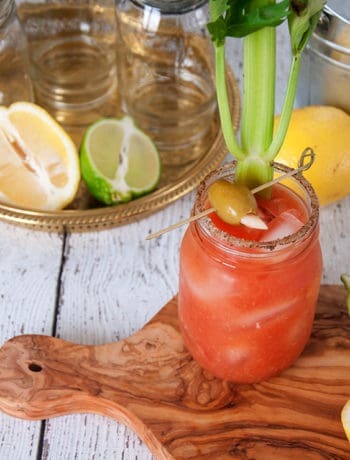 What Makes This Drink Different than a Classic Bloody Mary? This drink is different because it is the world’s spiciest. It is hot. Really hot. We are going to take a traditional Bloody Mary and turn it upside down with heat. First, I am going to show you how to make Carolina Reaper-infused vodka. Then, we are going to mix in some Carolina Reaper hot sauce. Finally, to touch it all off, we are going to make some Carolina Reaper Pickled Eggs that you can serve on top. On a whim, my wife asked me last spring if she should pick up some Carolina Reaper plants when she was doing some garden shopping. While neither one of us are really crazy about super spicy stuff, we both decided it would be fun. So, we did it. Actually, Ashley did, as she is the gardener in our family. She grew both Carolina Reaper plants and Ghost Pepper plants. We have since started using them in various items and, so far, my favorite has been my Carolina Reaper pickled eggs, but this drink really is something special and we can top it off with an egg! USE GLOVES! Look, these things can really hurt. Have you ever cut a jalapeno and accidentally rubbed your eyes or something similar? Well, this pepper is well over 200 times as spicy on the Scoville Heat Unit scale. Take care of yourself and when you are handling the peppers, be careful and use gloves. This really is an easy one. Take 2-4 Carolina Reaper peppers and loosely chop them (use gloves). Put them in 2 cups of vodka and let it sit for at least 3 days, but you will be better served by letting it sit for at least a week. Originally, I just added the whole peppers and I was not getting the infusion I wanted. Once I started chopping the peppers, it really infused nicely. The summary is to chop the peppers and give it some time. You can use this technique for many other drinks and peppers, but today we are dealing with insane hot peppers and our Bloody Mary. If you know how to make pickled eggs, this also is an easy one. 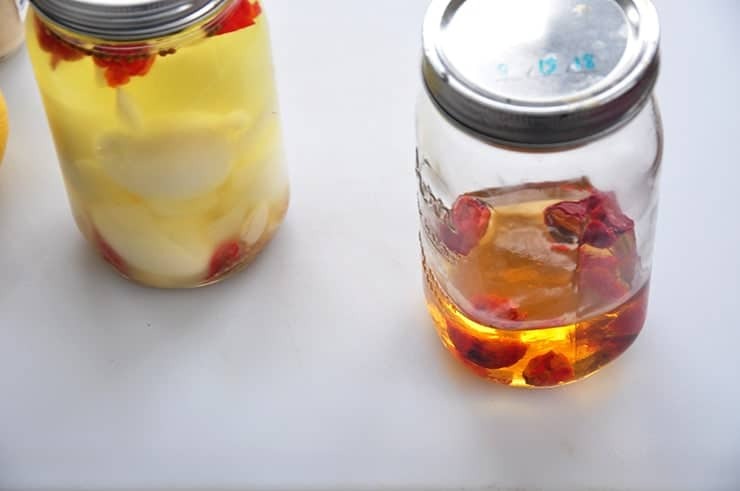 I use a basic Pickled Egg recipe, but then add a few chopped up reapers to the mix. You can find the full Carolina Reaper Pickled Egg recipe here. The one thing I really like about this simple recipe, is that there is enough zing for me to feel it, but it isn’t so hot that it is impossible to eat. 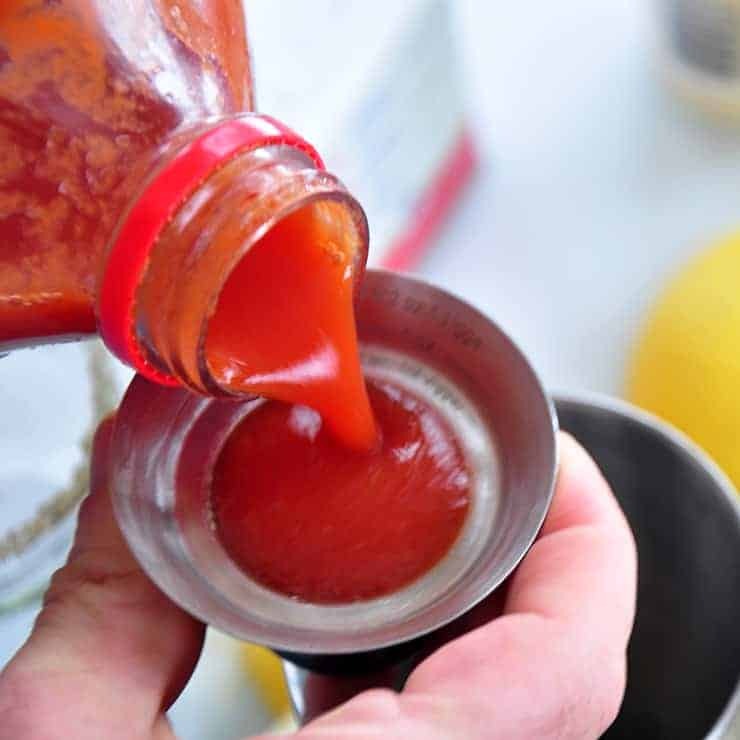 In our traditional Bloody Mary, we use Tobasco sauce. Here we, once again. kick it up ten notches with a homemade Carolina Reaper hot sauce. We wrote a whole post about it and you can make your own, or you can order some like this. I only use a few drops in mine, but the more you put in, the more insane it will get. Be sure to load up on celery or any other sides that might give you some relief from the heat. The hottest I could find were Ghost Pepper Beef Sticks, so I used those. 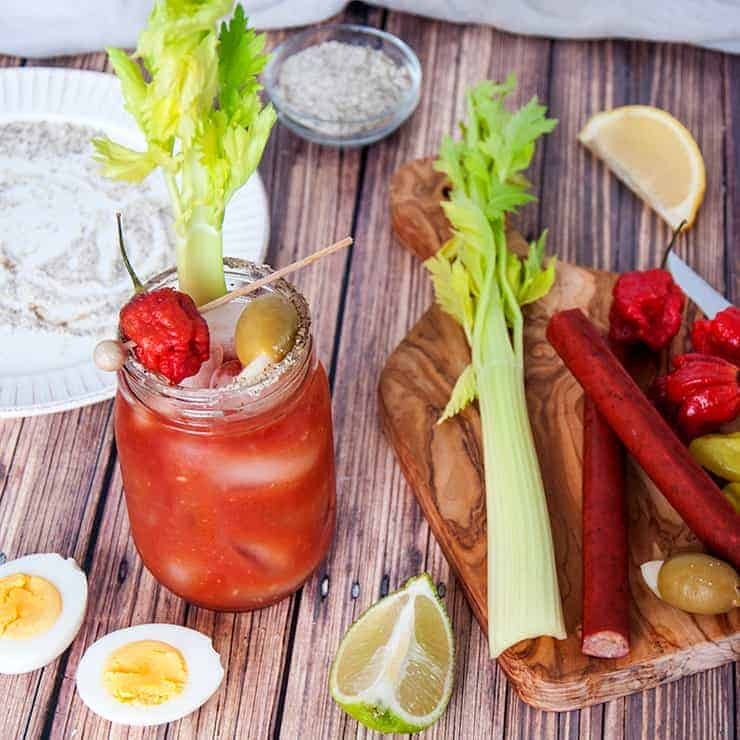 If you want to add a bit more zing to the mix, find yourself some spicy beef sticks to serve alongside the celery and Carolina Reaper pickled egg. The ingredients we are using stay fairly close to the classic Bloody Mary, but we have incorporated quite a bit of the Carolina Reaper pepper into the mix. 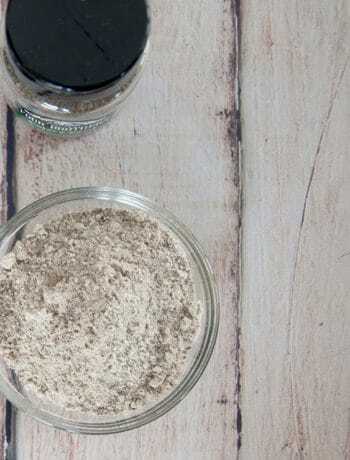 Each of these components can really be used on their own or in other recipes. I have the hot sauce and pickled eggs in my fridge quite often. I snack on those pickled eggs and I do use the hot sauce when I really want a kick in something. If you want to make a different cocktail with the vodka, you sure could. Be prepared to sweat. The World’s Spiciest Bloody Mary! We did it. This is a hot drink and it was fun to make and try. Now that I have plenty of experience with this pepper, I find myself sweating when I just think of the pepper. Lol. It is hot. If you try it, let me know! It would actually be really awesome if people started taking videos of themselves drinking this. If you like what we are doing, please make sure to follow us on Instagram and subscribe to get updates via email. 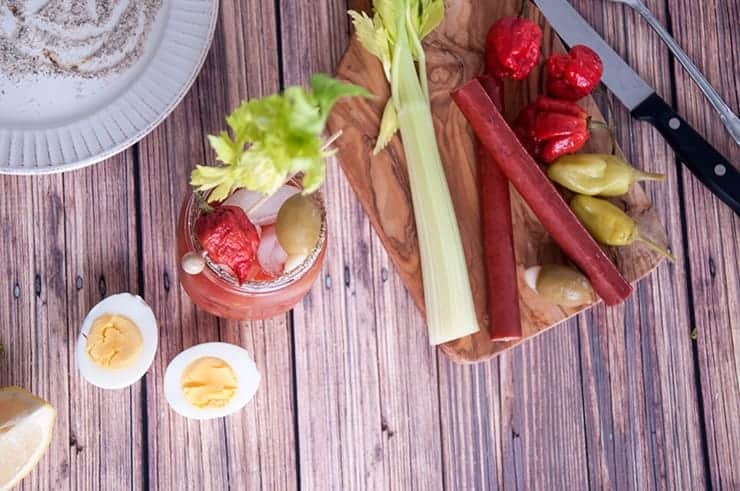 This is the World’s Spiciest Bloody Mary. Are you a pepper head or someone who loves spicy things? Give this detailed recipe a try to quench that pepper hunger. Or it is perfect if you just want to make someone cry. Drop spent wedges into the shaker. Garnish with lemon, lime, Carolina Reaper Pickled Egg, and celery stalk. The time listed to make assumes that the individual components have already been made. For Hot Sauce, either order Carolina Reaper hot sauce OR make your own Carolina Reaper Hot Sauce with this recipe. For the Pickled Egg, check out this Carolina Reaper Pickled Egg. See this blog post for instructions on the Carolina Reaper infused Vodka. Basically chopped Carolina Reaper peppers in vodka and allow it to sit for a week.